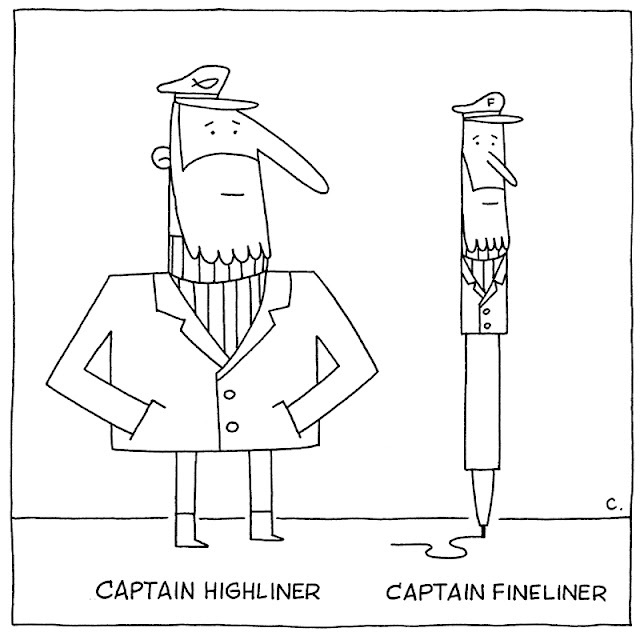 While grocery shopping earlier this week I walked past the frozen food section and happened to notice Captain Highliner frozen fish sticks. In my hand was a fineliner, which I use to cross off the items on my list. 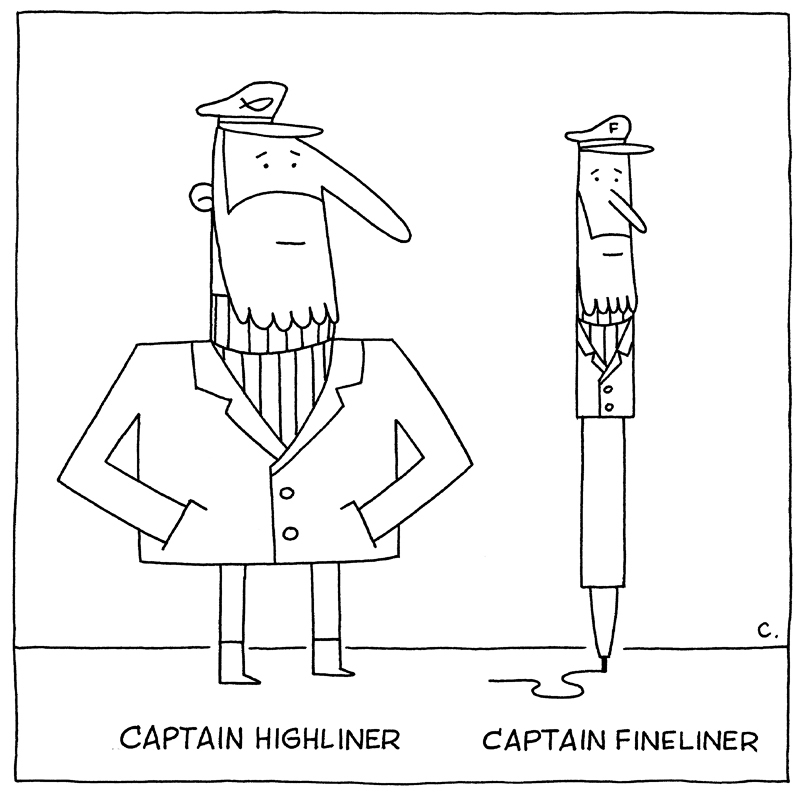 I thought to myself, "Hey, Captain Highliner...Captain Fineliner!" It amused me, so I drew it.